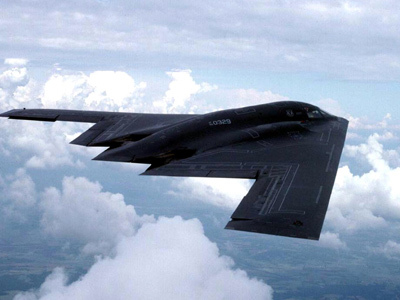 US sales of bombers, missiles and rockets to China's and North Korea’s neighbors are forecast to increase sharply in 2013 challenging Beijing’s goal to be the main power in the region. 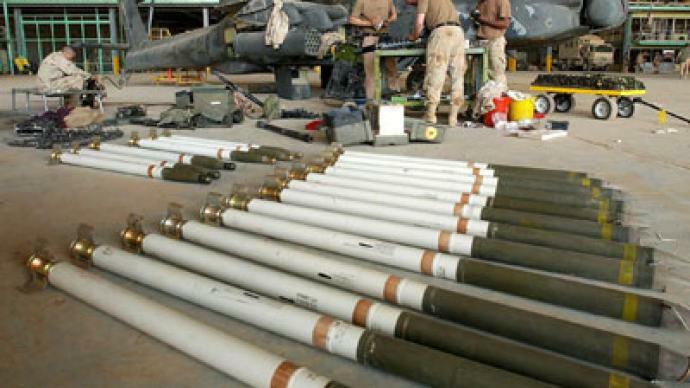 ­The rising arms trade has been predicted by The Aerospace Industries Association (AIA), a trade group that includes US defense corporations like Lockheed Martin Corp, Boeing Co and Northrop Grumman Corp, in a report published in December. 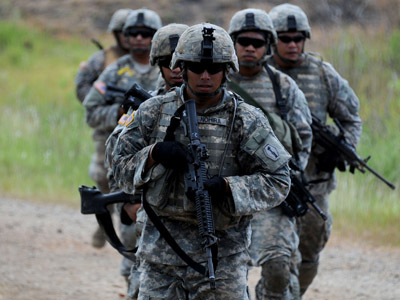 Equipping its Asia-Pacific allies has been viewed as a "top priority" for the Obama administration following the re-alignment of security policy in November 2011. At the time, President Obama announced a strategic shift into the Asia-Pacific region. The so-called ‘Asia pivot’ involved American military presence throughout the region in order to contain China’s rising economic and military influence and maintain US dominance. Obama’s pledge in November 2011 was seen as a challenge to China, which has been striving to be the main power in the region. “Similarly, growing Chinese defense budgets have led to significant new US sales in South and East Asia – sales that will also guarantee major deliveries,” says the latest report by AIA. The vice president for national security at the AIA stressed that the pivot "will result in growing opportunities for our industry to help equip our friends." Independent journalist James Corbett based in Japan told RT that the increasing armament of China’s neighbors will also trigger worsening tensions in the region. Corbett says the policy of “pivoting” to Asia is a “very old imperial strategy of “building up boogeyman” and it is not about containing China’s growing potential, but giving contractors a chance to make billions of dollars. RT: America arming its allies, on top of its own military shift towards the Asia-Pacific – how worried is the US about China's growing military prowess? JC: I think what we can see here with the strategy of the shift towards the Asia-Pacific and then suddenly this report saying that now US arms contractors are going to be gaining billions of dollars in contracts from the shift. What we can see is just a return to the very old imperial strategy of “building up boogeyman” in order to create the sales to combat those boogeymen. So, it is a very old strategy identified by name by President Eisenhower in his farewell address in 1960 when he talked about the military industrial complex. And here we are half a century later with the exact same strategy at play and before that was the communists, then it was Al-Qaeda and terrorists’ threat, and now there is China and that threat. So, I don’t know if that is a question of a real existential threat that China is posing here so much as a chance for contractors, associated with the US government to make billions of dollars. RT: What's the key gain here – geopolitical muscle, or billions of dollars in sales revenue from arms sales? JC: I think it creates a situation where the economics maybe what is driving this “pivot” towards the Asia-Pacific. But that in turn creates geopolitical reality, so that for example China sees all of these arm sales going to Korea, and Taiwan and Japan and some of the US’s allies in the region sales and they respond with a military armaments of their own. So it is a kind of self-perpetuating prophecy that fulfils itself by the economics of the situation. So, I think it becomes a geopolitical reality. And there is no coincidence that just after they announced this “Asia-Pacific pivot” in a last couple of years, suddenly we see all of this commotion about the South China Sea and the East China Sea in these territorial disputes. RT:How much is North Korea's missile launch last month being used as a military marketing tool? JC: I think that is the right frame for it. 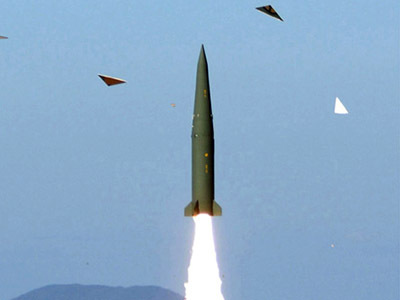 Again it is not really the question that there is the imminent sense of an existential threat for North Korea so much as another excuse to use a North Korean launch as the panic to create the market for more of these devices. So now, for example, just last month we saw a new $1, 2 billion sale of Global Hawk spy drones to South Korea, on a back of this commotion about North Korea. Obviously we see the opening of a brand-new market for drones which are normally aimed at either North Korea or China and, again, just helps to fuel the billions of dollar contracts that are being opened right now. RT:How do you expect North Korea to react when it sees countries like Japan and its neighbors getting American military upgrades? JC: Interestingly enough we have just seen Kim Jong-un come out and talk about the possibility of the creating some kind of détente peace with South Korea, so we really don’t know – that is a big “wild card”, a Joker in a deck that we can’t really say much about – but certainly, I think, China, specifically, understands the type of threat that is being built up right now. And the deep integration that the US is trying to achieve with Asian and their allies in the region, so I think China probably is going to be more of the concern in the years ahead. RT: What about China's response – since US arms manufacturers will help upgrade the air fleet of Taiwan, a territory China still claims as its own? What will it do to Washington relations? JC: Obviously it is not going to help relations at all. And of course Taiwan is one of the most sensitive parts of the entire region and has long been envisioned as the tinderbox that sets off the bigger explosion in the region, so I think Beijing definitely has its eye on what is happening with Taiwan and its F-16 fleet, also the Japanese extended radar for example that just recently has been expanded and worked on I think has to be seen as a threat by China as well. I think definitely we are going to see an increase in tensions and it will probably create more situations like we saw in the past years with the Senkaku Island dispute between Japan and China.